This is the first time I’ve ever had to hire a lawyer. Do you have any tips for working effectively with an attorney? You aren’t alone. Some of our clients come to us never having hired an attorney for anything before. Other people come to us having only dealt with attorneys in civil cases such as motor vehicle accidents, family law situations like a divorce, or estate planning purposes when they needed to draft a will. Now, your situation is different. You face criminal charges for reckless driving, may face jail time, and other significant legal penalties. Being honest. Your lawyer needs to know exactly what happened right before the police officer pulled you over and when the police officer pulled you over. Some of the facts of your case may not be beneficial to your case. That’s okay. It is better for your lawyer to know them up front than to try to deal with them for the first time when the prosecution raises them. Being a good communicator. It is important to share all of the information that you have with your lawyer and to return your lawyer’s calls. 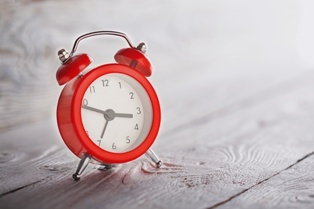 Your lawyer needs information from you in a timely way to defend you. Being realistic. Your lawyer can’t change the facts of your case, but can work within the confines of the law to make sure that you are treated fairly after a reckless driving arrest. 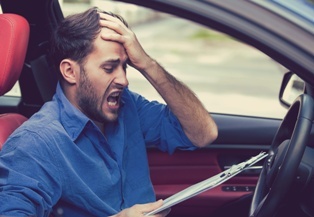 Don’t waste any time contacting a reckless driving defense lawyer. 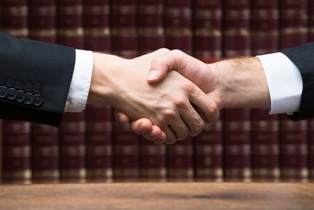 The sooner you contact a lawyer, the sooner your lawyer can get to work defending you. For more information about how a reckless driving defense lawyer can help you or to schedule your first meeting with Attorney T. Kevin Wilson, please call us or reach out to us via this website as soon as possible. How Do I Know If I Can Trust You to Represent Me in a Virginia Reckless Driving Case? Can I prepay a reckless driving summons? There are some traffic offenses that you can prepay. For these non-criminal offenses, you may simply pay a fine and move on with your life. Reckless driving is not one of these offenses. Reckless driving is a crime, and you can’t prepay a fine to make the situation go away. When the officer hands you a piece of paper after you are pulled over for reckless driving, you are not getting get a ticket. Instead, you are receiving a summons. This summons describes the charges against you and requires you to appear in court to defend yourself against the charges. You likely wanted to prepay your reckless driving ticket so that you could put this matter behind you. Since that is not an option, you will have to defend yourself in court and prevent the prosecution from proving that you were driving recklessly in violation of Virginia law. An experienced reckless driving lawyer can analyze the evidence against you and identify the right defenses in your case. Your attorney can then use this information to negotiate a plea bargain with the prosecution or to represent you before the court. The potential consequences of distracted driving are significant. You may face jail time, fines, a reversal of your security clearance, and trouble finding a job. However, these consequences are not inevitable. You may be able to fight them. It may take longer than simply sending in a check to pay for a traffic infraction, but it does not have to be more stressful if you work with the right attorney who understands this area of the law and who will aggressively defend you against the charges you face. Attorney T. Kevin Wilson has the experience and training that you need if you face reckless driving criminal charges in the Commonwealth of Virginia. Contact him today through our online contact form or by phone to schedule a free consultation and to learn more about how you can resolve these charges against you. You face criminal charges that could impact your life for a long time. In Virginia, a reckless driving conviction could result in a prison sentence, a fine, a revocation of your security clearance, a license suspension, and other serious consequences. You need a lawyer you can trust to fight hard for you. Read our client testimonials. Here, our clients share their thoughts about The Wilson Law Firm and Attorney T. Kevin Wilson with you. 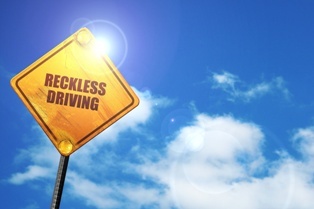 Browse our reckless driving articles. You can learn more about how we handle reckless driving cases by browsing our reckless driving library articles, blog posts, and FAQs. You can also browse our reckless driving defense case results to see how we’ve helped other people charged with this crime in Virginia. Schedule a free consultation. Meet with us face to face. Ask us any questions that you have about us or your reckless driving defense and decide for yourself whether Attorney T. Kevin Wilson is someone you trust to represent you in your reckless driving defense case. Hiring a reckless driving defense lawyer may be the most important decision that you make after a reckless driving arrest. Do not waste any time in finding out more about us. Instead, call us, start a live chat with us, or fill out our online contact form today to start learning more about us and about whether you trust us to protect your rights in a reckless driving case. What Can a Reckless Driving Lawyer Do for Me? What happens if I’m arrested for reckless driving in Virginia while I’m on probation for another crime? This isn’t the first time that you’ve been accused of committing a crime in Virginia. You are currently on probation as a sentence for another crime. As you well know by now, there are specific terms related to your probation. One of those terms likely prevents you from committing a crime. 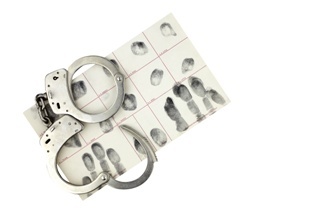 An arrest—even before you are convicted—may violate the terms of your probation. You face potential probation revocation. This may mean that you need to serve jail time or another sentence imposed by the court for the crime for which you are currently serving probation. You face potential legal consequences related to the reckless driving charges pending against you. This may include jail time, fines, and other penalties. If you are found to have violated the terms of your probation agreement and if you are found to be guilty of reckless driving then you may have to serve both sentences consecutively, and you may lose your freedom for a long time. You have not received a speeding ticket. Instead, you have been charged with a crime, and you face all of the potential penalties that come with a criminal conviction. Your future is not something that you can leave to chance. Instead, you need to work with an experienced reckless driving defense attorney who knows what evidence to gather, what questions to ask, and what arguments to make to protect your rights in accordance with Virginia law. Do not suffer more significant penalties than necessary. Instead, talk to Attorney T. Kevin Wilson about how you can minimize any jail time, fines, or license suspension. Contact the Wilson Law Firm today to schedule your free, no-obligation consultation and to discuss your next moves. Can My Reckless Driving Conviction Be Expunged? 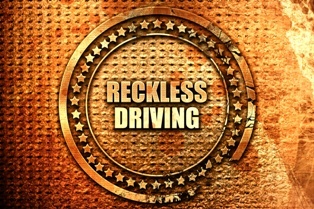 The Virginia reckless driving speeding statute provides, in part, that, “A person shall be guilty of reckless driving who drives a motor vehicle on the highways in the Commonwealth…” If you were speeding, but you were not on a highway, then the Commonwealth of Virginia may not have a case against you. We all have an idea of what a highway is in our heads. 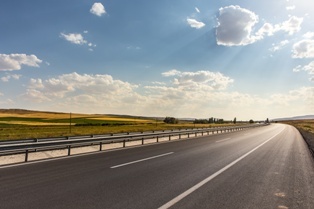 To many of us, the term highway means a major road often with entrance and exit ramps and without frequent stop signs, intersections, or traffic lights. While most public roads are highways, there may be situations when you are accused of reckless driving, and you were not on a highway. This could happen, for example, if you are accused of reckless driving in a privately-owned parking lot. An experienced reckless driving defense lawyer will look closely at every aspect of your case and identify all of the potential defenses. This includes whether your alleged reckless driving technically took place on a highway or private property. To learn more about all of your possible defenses after a reckless driving arrest, please contact our the Wilson Law Firm today for a free and confidential consultation. Do I have to wait for a police officer to read me my Miranda rights or can I assert them myself? TV shows, movies, and books have taught us to wait for the dramatic moment when a police officer issues a suspect his Miranda warnings. It’s how we, the viewers and readers, know that an arrest has been made, the suspect has been taken into custody, and that the suspect has certain legal rights. Your life, however, is not a TV show, movie, or book. For you, the consequences of a potential DUI conviction are real and potentially significant. Therefore, it is important to start protecting your rights immediately. I would like to speak to my attorney before answering your question. You may also let the officer know that you are aware of your rights and, therefore, you will not be answering any questions at this time. Whichever approach you choose, it is important to be polite. Do not become verbally aggressive with the police officer. Instead, respond respectfully and calmly while protecting your rights. Anything that you say to a police officer before you assert your constitutional rights may be used against you later. However, once your Miranda rights have been asserted, then anything that you say in response to a police question may be inadmissible. Admissibility of evidence is just one important piece of a DUI defense. 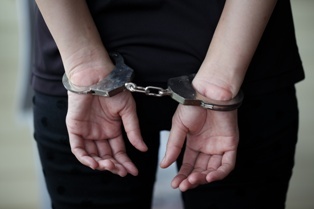 For more information about how to defend yourself after a drunk driving arrest, please contact an experienced Virginia drunk driving lawyer as soon as possible. Time is of the essence and it is important to get started with your defense as soon as possible. Attorney T. Kevin Wilson has extensive experience and education in this area of the law. Please contact him today for a free, no-obligation to learn more about your rights. I’m innocent! Why won’t you promise me an acquittal in my reckless driving case? We understand your question, and we assure you that the reason why won’t make this promise has nothing to do with whether or not we believe you. Instead, the reason why we can’t promise you an acquittal, a dismissal of your case, or any other legal outcome is because it would be unethical, unprofessional, and unfair to do so. The quality of the evidence against you. The quality of the defense that you provide. How aggressive the prosecutors choose to be in your case. You can’t control all of these factors. However, you can control the quality of your legal defense by hiring an experienced reckless driving defense lawyer. I will listen to everything that you say. I will thoroughly investigate the case. I will go above and beyond the call of duty to provide you with an excellent defense. I will communicate with you so that you are well-informed about what is going on in your case. I will advise you of all of your legal options and help you make informed decisions. To learn more about how I can help you after a reckless driving arrest, please contact The Wilson Law firm today for a free and confidential consultation. You can reach me by phone or through this website at your convenience. Do I Need a Lawyer If I’m Accused of Reckless Driving in Virginia? What does it mean when you say that you are an experienced reckless driving attorney and why is it important to me? 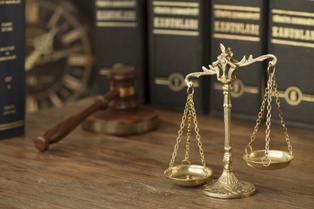 Experienced attorney is a term that is thrown around a lot. Many lawyers promote themselves as experienced attorneys, and most of those lawyers define “experienced” in different ways. More than 20 years of criminal defense work. Owning and operating his own criminal defense law firm since January 1, 1999. Specific training on the use of police Lidar and Radar. Teaching Virginia Criminal Law, Virginia Criminal Procedure, and related topics to police officers at the Prince William County Criminal Justice Academy for more than 10 years. Representing clients in more than 70 jurisdictions throughout the Commonwealth of Virginia. Using the knowledge gained from representing prior clients. Developing a reputation in the legal field. Gaining a deeper understanding not only of the law, but also of the prosecutors and judges that may be involved in various cases. 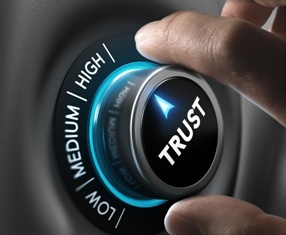 Most importantly, it means being able to provide confident and reliable legal services to individual clients. Everyone at the Wilson Law Firm is committed to working tirelessly on behalf of our clients. We will use all of our experience and our passion for justice to see that you are treated fairly. To learn more about us and about how we may be able to help you with your reckless driving speeding case, please contact us directly via this website or by phone to schedule your free, no-obligation consultation today. We also invite you to learn more about your particular claim by browsing our free library articles, blogs, and answers to frequently asked questions. What Can Happen to Me If I’m Convicted of Reckless Driving? Do I need expert witnesses for my Virginia DUI case? Not every drunk driving case is going to require expert witnesses. However, in some cases, expert witnesses may be extremely helpful in preventing a criminal drunk driving conviction. The experienced DUI defense lawyers at The Wilson Law Firm can help you determine whether expert witnesses will be helpful in your case and, if so, what types of expert witnesses you need. A forensic toxicologist. This type of expert can analyze how you may have been impacted by the alcohol in your system and can analyze your breathalyzer results or the results of other tests that were used to determine your blood alcohol content. A law enforcement professional. This type of expert can review the police officer’s conduct and investigation to determine if both were consistent with required procedures. 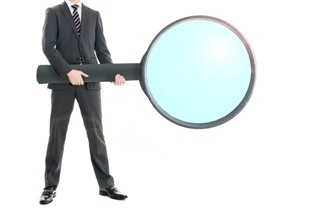 Other experts may also be useful based on the unique circumstances of your case. The prosecution may also use expert witnesses in its case. Therefore, if you decide to hire expert witnesses, then it is important to work with well-respected and credible witnesses whose testimony will be persuasive to the court. The decision about whether or not to work with expert witnesses is an important one to make in your DUI case, but it is not the only important decision. There are a lot of decisions and any of the choices that you make may significantly influence whether or not you are found guilty of drunk driving. Accordingly, it is important to contact an experienced drunk driving defense lawyer as soon as possible to review your case and to help guide you through the difficult decisions that you need to make now and in the future. Call us today a free, no-obligation case evaluation. What does nolle prosequi mean in a Virginia reckless driving case? Typically, the prosecutor will request a nolle prosequi to the court if the prosecutor believes that there is insufficient evidence for a conviction, if a witness is unavailable, or if the case should be dismissed, but the government wants to appear to be fighting every reckless driving charge aggressively. If the court grants the prosecutor’s nolle prosequi request, then the defendant who was charged with reckless driving will not face any immediate legal consequences. Technically, however, the Commonwealth of Virginia is reserving the right to bring back the case or reinstate the charges in the future. Fortunately, the government rarely brings the charges again and if the government chooses to do so then the government must act before the statute of limitations expires. It is important to note that a nolle prosequi is not the same as a dismissal of your case. If the charges against you are dismissed then the case against you is over and the Commonwealth cannot reinstate the charges and attempt to prosecute you for the same crime (arising from the same incident) again. Reckless driving cases can be complicated. There are a lot of factors that could influence how the government wants to handle your case and the potential outcome of your reckless driving case—it is your future that is at stake. Let an experienced reckless driving defense lawyer represent you and make sure that your legal rights are protected. Contact The Wilson Law Firm today to schedule a free consultation with an experienced reckless driving defense lawyer who will take the time to explain all of your legal options to you and who will fight hard to make sure that you are treated fairly. We can help you face the future with the certainty that comes with knowing how your reckless driving case will be resolved. Can I Get a Continuance in My Reckless Driving Case? A reckless driving charge was not what you had planned. You recognize that you are going to have to defend yourself against this criminal charge, but you have a really good reason for not going to court on the day that your case is currently scheduled. However, simply failing to respond to your summons by not showing up in court on the appointed day could make the situation worse. As you face jail time, financial fines, and a potentially permanent criminal record, you need to do everything in your power to protect your legal rights. Receiving medical care that makes your attendance in court very difficult. In the process of hiring a reckless driving defense attorney. In a situation where a key witness for your case is unable to attend the court date for a good reason. If one of these reasons, or another good reason, exists then you or your attorney may ask the court for a continuance in your Virginia reckless driving case. Instead, if the court grants your motion to continue then your case will be delayed to a future date when the officer who charged you with reckless driving is scheduled to appear in court. This may delay your case for a few weeks or months depending on the reason for your continuance and the police officer’s court schedule. As with anything having to do with your reckless driving charge, it is important to consult with an experienced reckless driving lawyer as soon as possible. Let your attorney know the reasons why you are seeking a continuance. Your lawyer will let you know whether you should pursue a continuance. If your lawyer thinks that you should pursue a continuance, then he will draft the motion to continue and present it to the court. To learn more about this, or about any aspect of your reckless driving case in Virginia, please contact The Wilson Law Firm today via this website or by phone. We would be happy to provide you with a free, no-obligation consultation. How long can my insurance premiums go up for if I’m convicted of reckless driving in Virginia? You have a lot to worry about after a Virginia reckless driving conviction. You may have to serve jail time, pay a fine, and face a license suspension. Your car insurance may not be your primary concern. However, it is something that you need to think about. First, let’s talk about the good news. Virginia insurance law specifically provides that, “No insurer shall use any information pertaining to any motor vehicle conviction or accident to produce increased or surcharged rates above their filed manual rates for individual risks for a period longer than 36 months. This period shall begin no later than 12 months after the date of the conviction or accident.” In other words, a car insurance company can only increase your premium for a three-year period after your conviction. Next, let’s consider the potential cost. 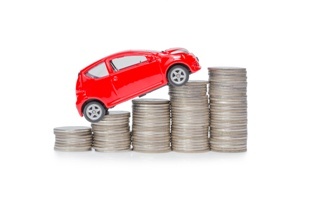 Over those three years, your car insurance may go up by more than 200 percent. The insurance company may consider your reckless driving conviction, previous driving record, age, and other factors to determine the specific amount that your premium will increase. However, an insurance increase after a reckless driving conviction may not always happen and can vary from insurance company to insurance company. It is easier to try to avoid a conviction before it happens than it is to undo the consequences of that conviction later. If you have been accused of reckless driving, then it is important to talk to an experienced reckless driving defense attorney as soon as possible about your rights. The cost of hiring a lawyer may be much less than the potential financial and emotional costs of a reckless driving conviction. Please call The Wilson Law Firm today to learn more about what you can do to protect yourself from the potential consequences of a reckless driving conviction. We would be pleased to provide you with a free consultation so that you can make an informed decision about your future. Who enforces reckless driving laws in Virginia? Both local and state police can enforce reckless driving laws in Virginia. Typically, the authority of the local police is limited to the jurisdiction of that police force. For example, an officer from the Manassas Police Department has the authority to charge you with reckless driving within the City of Manassas, an officer from the Prince William County Police Department has the authority to charge you with reckless driving within Prince William County, and an officer with the Virginia State Police can charge you with reckless driving in the Commonwealth of Virginia. Whether your ticket was issued by a local police officer, a county police officer, or a state trooper, you are facing criminal charges in Virginia and the procedures for protecting your rights are the same. The piece of paper that you were given when the officer pulled you over is not a ticket. It is a summons, and it will tell you the date, time, and specific courthouse where you are to report to address the charges against you. Other consequences are also possible. However, reckless driving consequences are not always inevitable once you are charged with the crime. An experienced reckless driving lawyer can investigate the facts of your case and present any valid defenses so that you do not have to bear the burden of penalties for a crime that you did not commit. To learn more about your rights and your potential defenses, please schedule a free, no-obligation consultation with The Wilson Law Firm today. We can be reached by phone or via this website at your convenience. What Can Happen to Me If I’m Convicted of Reckless Driving in Virginia? What kind of lawyer do I need if I get a ticket for passing a stopped school bus in Virginia? Section §46.2-859 of the Virginia Code makes it a crime to pass “…any school bus which is stopped on any highway, private road, or school driveway for the purpose of taking on or discharging children, the elderly, or mentally or physically handicapped persons,…” Specifically, Virginia law says that anyone who is guilty of passing a stopped school bus in this way is guilty of reckless driving. 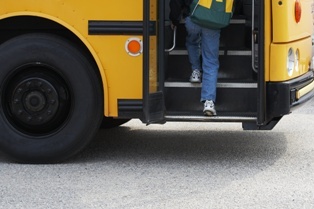 If you have been accused of passing a stopped school bus, then you have been accused of a crime and you need a criminal defense lawyer with experience defending drivers who have been accused of reckless driving. You have not been given a traffic ticket and the penalties you face are not purely financial. In addition to a fine, you may face potential jail time, demerit points on your driver’s license, suspension of your driver’s license, increased insurance premiums, and other serious consequences. If you are convicted then your criminal record may be permanent. For these reasons, it is important to hire an attorney who has experience with reckless driving criminal defense cases. An attorney who handled your speeding ticket, parking violation, or another civil matter may not be the best choice for handling your criminal case. For more than two decades, Attorney T. Kevin Wilson has been representing people in criminal traffic-related cases. He knows what questions to ask, what evidence to gather, what arguments to make, and what advice to give each individual client who faces a traffic-related crime. If you would like to learn more about the charges you face, the potential consequences of these charges, and the steps that you can take to protect your recovery, then please contact The Wilson Law Firm today to schedule your free, confidential, no-obligation consultation with an experienced reckless driving defense lawyer. We would be happy to discuss any potential defenses to the crime of passing a stopped school bus and how best to protect your future. I’m so embarrassed by my reckless driving arrest. Who is going to know about this? It depends. People can find out about your reckless driving arrest in different ways. While you can’t prevent everyone from knowing about your arrest, it is helpful to understand how people may learn about it so that you can control the situation to the best of your ability. 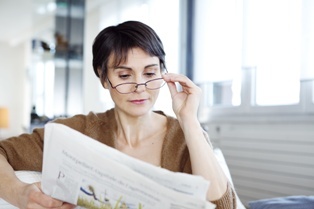 Reading the newspaper. While your arrest is unlikely to make the nightly news unless you were in a major accident, the local paper could have a list of arrests and traffic tickets. If you are over the age of 18 your name may be printed along with the date and time of your arrest and the specific charges that you face. Asking you directly on a job application. A future employer may ask about your criminal past on a job application. Read the question carefully and answer it honestly. Many applications ask about criminal convictions and not about arrests. If you were acquitted or the charges against you were dropped, then you were not convicted of reckless driving. Conducting a background check. It is possible that a reckless driving conviction could show up in a security check or a background check run by an employer. Additionally, people may find out about your arrest by word of mouth. If one person read about it in the paper or saw you get pulled over they may tell other people. It might not be easy, but it is almost always better to be honest about your reckless driving arrest than it is to lie about the situation. If you lie and you are caught in that lie, then your integrity will be questioned along with your driving ability. That said, it can be very difficult to be judged for your driving ability and you may be very uncomfortable with your reckless driving arrest. While we can’t promise you that everyone will understand the circumstances that led to your arrest, we can promise you that we will not judge you based on your arrest. Instead, we will work hard to see that the law is fairly applied to you and that you don’t suffer greater legal consequences than you deserve. To learn more, please join us for an initial, judgment-free meeting to learn about your rights and about how to protect them. Call us or contact us via this website to schedule your meeting today. I was in an accident and the other person is claiming that I was driving recklessly. Does this mean that I’m facing criminal charges? Reckless driving is a crime in Virginia. However, another citizen cannot charge you with a crime. If you face criminal charges for reckless driving, then those charges will come from the Commonwealth of Virginia. 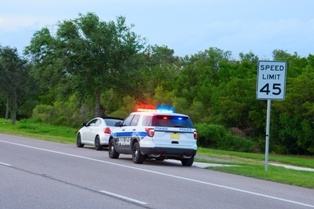 You may not be read your Miranda rights or be taken into police custody if you are charged with reckless driving. Instead, you may be given a reckless driving summons that looks like a ticket. It is important to read the ticket carefully. 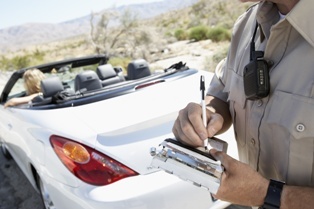 Do not assume that you have been given a common speeding ticket or traffic violation ticket. Instead, look at the “charges” section of the ticket. If you see the letters RD then the officer issuing your ticket has charged you with reckless driving. You should also look at the speed the officer recorded on the ticket. If the officer claims that you were traveling over 80 mph or 20 mph or more over the posted speed limit, then you may have been charged with reckless driving. 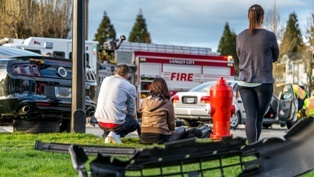 Another person involved in the crash may claim that you were driving recklessly and may raise that issue during a civil personal injury car accident case. That does not mean that you have been charged with the crime of reckless driving. If the ticket or summons that you were given at the accident scene indicates reckless driving or if you are confused about whether or not you have been charged with reckless driving then it is important to contact an experienced reckless driving lawyer as soon as possible. Our lawyers understand the serious charge that you face and the significant impact that it can have on your life. We will fight hard to protect your rights and to get you the best possible outcome given the facts of your case. Please contact us today via this website or by phone to schedule a free, no-obligation consultation. During our meeting, you can learn more about how to defend yourself against criminal reckless driving charges and about how we can help you during this difficult time. Can I refuse to answer a police officer’s questions if I’m stopped for drunk driving? You face a dilemma. On the one hand, you are afraid to answer the police officer’s questions for fear that anything that you say will be misconstrued and used against you. On the other hand, you don’t want to be rude to a law enforcement official and risk making that official angry. You’ve likely watched enough TV shows and movies to know that you are in a tough spot, but there are things that you can do to protect your rights. If the police officer asks if you have been drinking and you answer the question, then you may be incriminating yourself. In doing so you may be giving up your constitutional rights. The Fifth Amendment to the United States Constitution provides that no one “…shall be compelled in any criminal case to be a witness against himself…” This means that you do not have to offer the police evidence that you committed a crime. You may be informed of your “right to remain silent” during an arrest. However, in many circumstances, the police officer will not arrest you immediately and may instead pull you over and ask you questions before an arrest. In this type of situation, it is up to you to respectfully choose to remain silent. At all times, you should remain polite and non-confrontational while speaking with the police. However, you should not answer any questions that may provide evidence that may be used against you. While you technically cannot “plead the fifth” until you have been arrested for drunk driving, you can still nicely refuse to answer questions and instead say that your attorney will be available to answer all of the officer’s questions. It can be intimidating and scary to be pulled over for drunk driving in Virginia. If this has happened to you, then it is important to contact an experienced DUI defense lawyer as soon as possible so that you can be sure that all of your rights are protected. Before you speak to anyone about your case, please download our FREE DUI DWI Arrest Survival Guide and contact us directly to schedule an initial consultation with an experienced drunk driving defense attorney. I was arrested for reckless driving after a car crash in Virginia. The driver of the other car died. Will I face other legal problems? It is possible that you will face additional criminal charges or that the survivors of the other driver will file a wrongful death lawsuit naming you as a defendant after a fatal reckless driving accident. However, whether you will be convicted of another crime or held accountable in a civil lawsuit depends on whether the state or the survivors can prove their cases in court. The Commonwealth of Virginia brings aggravated involuntary manslaughter charges then the prosecutors must prove that you were so gross, wanton, and culpable as to show a reckless disregard for human life. If the prosecutors are successful, then you face not less than one and not more than 20 years in prison. The survivors bring a civil wrongful death case then they must prove that you owed the other driver a duty of care, that you breached the duty of care by failing to act like a reasonable person, that your breach of the duty of care caused the driver’s death, and that the survivors are legally entitled to damages. 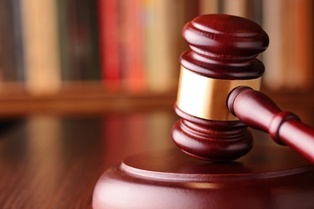 If the plaintiffs are successful in their claim, then you may owe them financial damages. You may not yet know if you face aggravated involuntary manslaughter charges or if you will face a civil wrongful death lawsuit. However, you do know that you have been charged with the crime of reckless driving and that you need to defend yourself against those charges because you face potential jail time and other significant penalties. For more information about how to defend yourself against reckless driving charges, please contact our experienced reckless driving criminal defense lawyers today for a free, no-obligation consultation about your rights. Do I Need to Hire a Lawyer If I’ve Been Charged With Reckless Driving? Does everyone who is convicted of reckless driving in Virginia receive the same sentence? No. While Virginia law establishes maximum penalties for reckless driving, the actual sentence that an individual receives for the crime of reckless driving is dependent on numerous factors. The potential penalties for a reckless driving conviction depend on whether you are convicted of a class 1 misdemeanor or a class 6 felony. For either offense, you face jail time, a fine, and a suspended driver’s license. The very first time you are convicted, for example, you could face jail time of up to 12 months, a fine of up to $2,500, and a license suspension of up to two years. Whether you have any prior convictions. This could mean that the judge is likely to be lenient in your sentence. Your driving history. Similar to prior convictions, the court may be less likely to be lenient if you have a poor driving history. The reason for your reckless driving arrest. Reckless driving speeding, passing a stopped school bus, or drag racing, for example, could result in different sentences. The county in which your reckless driving case is heard. Some counties have reputations for being harsher with reckless driving sentences than others. The individual judge presiding over your reckless driving case. Some individual judges have reputations for being harsher with reckless driving sentences than others. The attorney who is representing you in your reckless driving case. Some lawyers are more effective than others in reckless driving defense cases. To learn more about how to protect your rights if you have been charged with reckless driving, please contact The Wilson Law Firm today. Let an experienced reckless driving lawyer help you through the process so that your chances of an unfair sentence are reduced. What Is Reckless Driving in Virginia? Can My Reckless Driving Record Be Expunged? My friend was arrested for reckless driving. I was a passenger in the car at the time of the arrest. What should I do? This can be a scary situation, but you are in an important position to help the court understand what truly happened in the moments leading up to your friend’s reckless driving arrest and to make sure that your friend’s legal rights are protected. Tell the truth. No matter how much you want to help your friend, you can only help your friend by telling the truth about what happened. If you do not tell the truth, then you risk making your friend’s defense more complicated and creating legal trouble for yourself. Encourage your friend to share your contact information with his attorney. You may have valuable information to share with the lawyer that could make a big difference in your friend’s defense. Help your friend find a lawyer if he doesn’t already have one. Make sure that your friend understands why a reckless driving defense lawyer is so important. Your friend has not been accused of speeding or a simple traffic offense. Instead, your friend has been charged with a crime. You can get to know our reckless driving defense lawyers, and others, by searching the internet and checking out client testimonials. Additionally, it is important to be a good friend. Be there to listen to your friend during this difficult time and to offer the moral support that you always offer. The process from a reckless driving arrest through the resolution of a reckless driving case can be stressful. Your loved one may be worried about money, about his job, about his family, or about the effect of a conviction on his immigration status. You can be there to support your friend through it all—and hopefully to celebrate when your friend’s case is over. "Mr. Wilson is unbelievably knowledgeable and professional." "...I feel quite lucky to have hired The Wilson Law Firm to handle my case. Mr. Wilson is a true professional."